At Dalkey Podiatry clinic we look after the health of your feet, including musco-skeletal foot conditions, such as heel pain, metatarsal pain, and knee pain. We examine your gait and mobility for causes of pain. 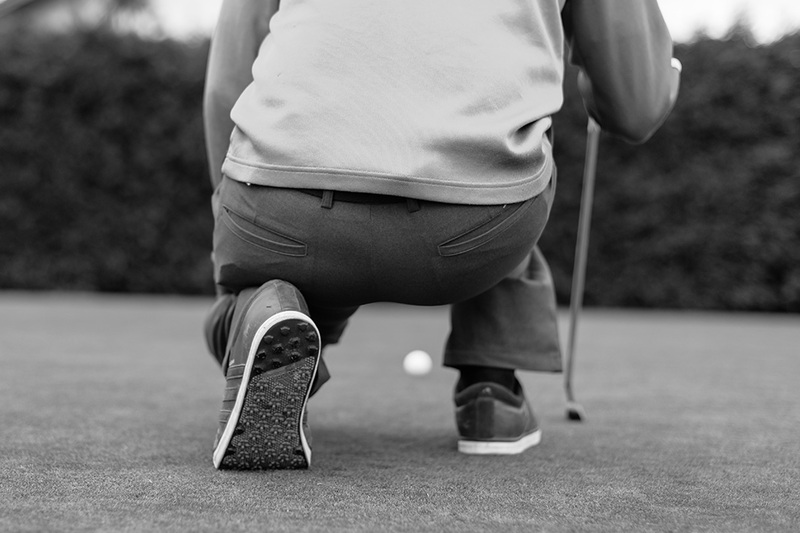 Heel and foot pain is a risk for regular golfers. During the golf swing, players put pressure on their feet, as the foot pivots to help fully rotate around a fixed leg position. Therefore, it is very important that any foot pain experienced during golf is correctly identified and managed at an early stage. Heel pain and planter fasciitis is an inflammatory condition of the fascia on the planter aspect of the foot which inserts into the heel bone. Do you have a toenail condition? Does the colour and shape of your toenails concern you? Have you thick brittle toenails, are they ingrowing, are they discoloured? We can treat and advise you on the best course of action. Do you have heel pain? Do you have pain or inflammation in the ball of your foot? You might have Metatarsalgia, or achilles tendon problems. Our Podiatrists can treat and advise you on the best course of action. Athlete’s foot and fungal nail conditions Many golfers suffer with Athlete’s foot and fungal nail conditions. We can assist you with treating and advising you on long-term solutions for these problems. Do you have skin abnormalities?